Hey guys! 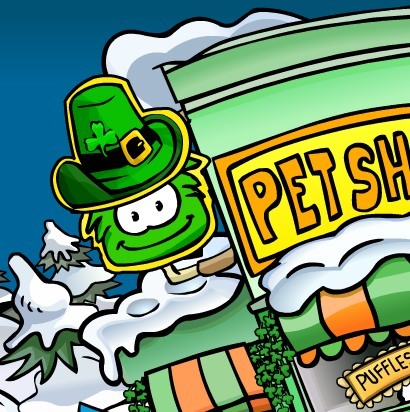 The official Club Penguin Blog has been updated. You all know that I like to give everyone a sneak peek when we’ve got some big things on the way. Not only does this give you something to look forward to, but it also allows you to let your friends know so they don’t miss it. Just to give you an idea of how big the next month is, here are a few things we have planned! * A Brand New Game! * A Sport Shop catalog Update with a new Game Upgrade! * And as always: New Pins, New Clothes, New Furniture, And More! We’re also working on some top secret stuff we can’t share yet, but that will be coming out over the next few months. Its going to be fun! In other news: Today we launched an update to Aqua Grabber (the new game). It should be running a lot smoother for everyone. If you tried it out over the weekend and it wasn’t running well, give it another try and let us know if its working better! My good friend Forrest 12 aka Cooper30 had bought me Domain! Thanks, Please visit Forrest12’s site! Hey guys! Me and Mohd FINALLY decided to added someone to MC productions! Here is the video! Availability! You need to be around ALOT if you are up for this, Don’t just try and win if you are not going to proceed with us. THERE IS ONLY ONE WINNER! The winner will get to be the next member for MC! right when you post that video. ONLY 3 VIDEOS! There are going to be ALOT of videos we will be looking at, so please, keep it low OR YOU WILL BE DISQUALIFIED! We are not copying ICKP! Me and mohd have been searching for someone since DAY 1! So we just decided to do a video contest before its too late, so don’t come complaining that we copied ICKP because we didnt. MUSIC VIDEOS ONLY! IF it’s a different video then a music video, you will NOT win even if you post a music video before a non music video, You will not win. TAKE YOUR TIME! you have 1 week! Please, do your best! Thanks guys! Have fun, Do your best! in other news, there is a new blog update! Thanks for being so welcoming to Screenhog, you guys are awesome! Anyway, I hope you’re all enjoying the latest party! The team worked really hard on it and it was a lot of fun to make. They also used a lot of your ideas, so thanks for the input. As always, let us know what you favorite part is! In other news: In case you haven’t heard, the invention at the Iceberg will be launched next Tuesday! I’ll have more info early next week! And be sure to check out the Iceberg–a poll was added! Gary the Gadget Guy needs help naming his invention. The poll will be up all weekend so make sure you cast your vote! Hey guys! Here is the new news. 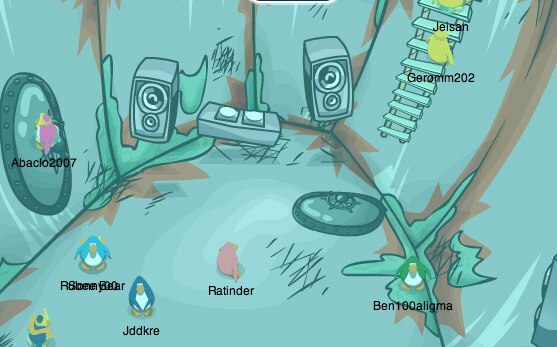 There is going to be a party this weekend, A Underwater party, they’re also going to build a submarine to help rockhopper and get his pieces, the submarine will probably be turning into a game, it’s just kind of obvious. Here is one of my best vids, This vid is amazing! ME and mo decided that we’re going to find another member for MC productions, but we’ll be doing a contest or something to choose the winner! Hope you liked it! In other news, Please sub to my youtube. & Visit Club penguin videos! ME and wwe adam’s site!